It looks like The Royals will be making their final bow on E! after four seasons. According to Deadline, the network is shopping the series around to other with a promising future potentially at E!’s sister channel, Pop, but for now, the Elizabeth Hurley drama will end with March’s season finale serving as the series finale. “E! will not be moving forward with another season of The Royals, which launched in 2015 as the network’s first original scripted series. Over four seasons, The Royals took viewers behind the palace gates on a scandalous journey filled with twists and turns. We are grateful to the cast and our producing partners at Lionsgate and Universal Cable Productions,” the network said in a statement. While fans will certainly be sad to see the series end, it doesn’t come as too much of a surprise seeing that series creator and showrunner Mark Schwan was fired in December after a sexual harassment investigation. Last year the women of Schwan’s previous series One Tree Hill released a letter detailing the misconduct they faced from Schwan throughout the show’s nine-season run, which prompted Royals star Alexandra Park to echo with her own testimony from her time on set. Filming for season four had already concluded by the time Schwan was fired. In addition to Hurley and Park, The Royals also starred Chronicles of Narnia alum William Moseley, Jake Maskall, and Tom Austen. The soap opera styled drama followed the Henstridge’s, a fictional British Royal family whose scandalous lives and secrets often matched their tradition and opulence. 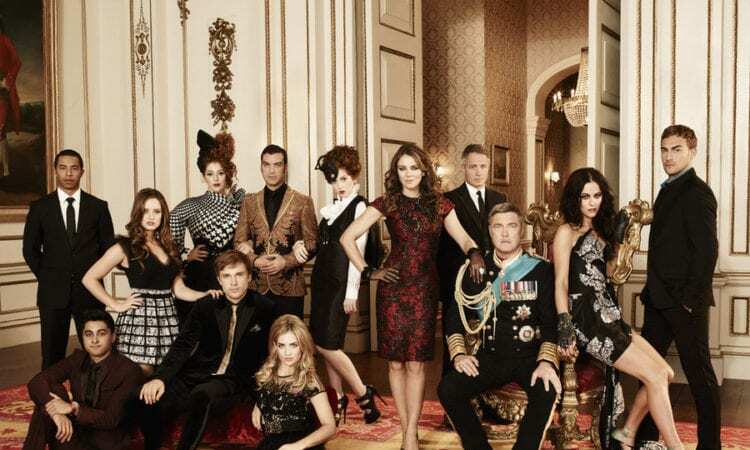 Prior to its cancellation, The Royals was the only remaining scripted series on E! (and was the first for the network as well), leaving the network’s lineup to entail only reality and entertainment news series. We will be sure to keep you updated as to whether or not The Royals finds a new network castle to call home! Are you sad to say goodbye to The Royals? Let us know!